See that scurvy scientist hunched over yon microscope, mateys? He be makin' dubloons - for his employer! Put yer backs into that chest, men! There be movin' pictures in there! 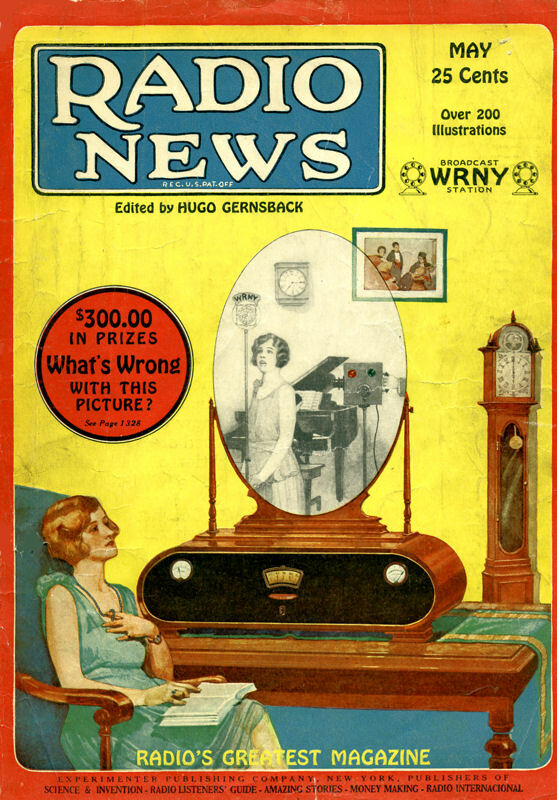 This is the May, 1927 issue of Radio News. Notice the name of the editor? 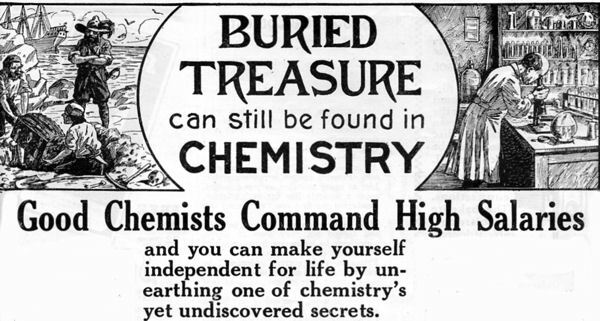 Hugo Gernsback was an early 20th-century geek, enterpreneur, and writer. His most famous magazine was Amazing Stories. The Hugo Awards are named after him. Gernsback's magazines were chock full of articles for hobbyists, along with futuristic looks at technology. While there are a number of mistakes in this picture, the editors were adamant that the television set itself was not a mistake.